Interstate Cash Register is a provider of IGManager, a complete suite of functions independent grocers and retailers need to run their stores. Independents today must deal with more diverse product mixes, increased “special deal pricing” from their DSD vendors, more layering of sale and TPR prices, more requirements for store account reporting. All of these diminish gross margins and predatory national chains. 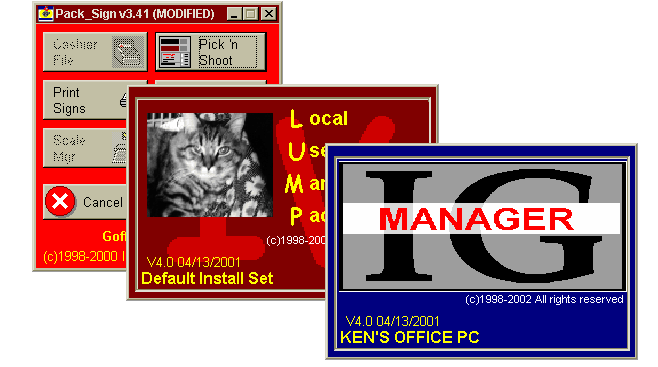 IGManager was developed in-the-store, which means the operators had a say as to what they needed. More importantly, the operators told us what they DID NOT need in retail management software. The result is this suite of programs that provide just what you, the independent operator, require to control your store. Coupon Manager enables you to create coupons and handle activation and deactivation with an easy-to-use coupon wizard. Store Charge Module lets you control credit limits, set automatic tax exemptions, administer store level gift card and gift certificate programs and generate statements and aging reports. Advanced Check Management System allows you to track unpaid checks, generate demand letters, and set reminders for each step of the collection process. Remote Terminal Support connects IGManager to Android-based smartphones or tablets or HTML-enabled handheld terminals. IBM-ACE Back Office allows you to perform all accounting functions from the IGManager Windows PC, such as tracking transactions, safe balance, and access ACE reports for any date range. ACE Security Alerts enables you to set up alerts to be delivered to your email, smartphone or desktop computer. IGManager gives you back-end management, price structure and reporting equal to software from larger companies, but it is available at a price point within reach of independent grocers and retailers. Paired with POS hardware provided by Interstate Cash Register from our industry-leading manufacturer partners, you have a total solution that helps you operate efficiently, reduce wasted time and errors, and minimize costs.